The Amazing Trekkers Club (ATC)! Now you can enjoy all of the benefits of chicken bone broth without the hassle of having to cook it. 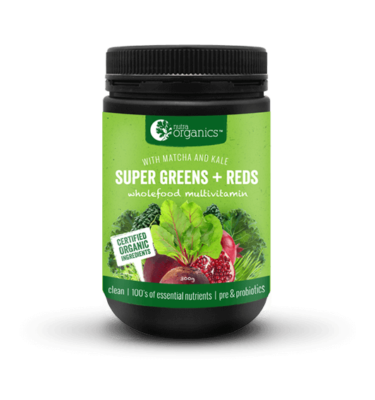 This amazingly convenient product is delicious, cooked with love and made from the highest of quality organic ingredients. 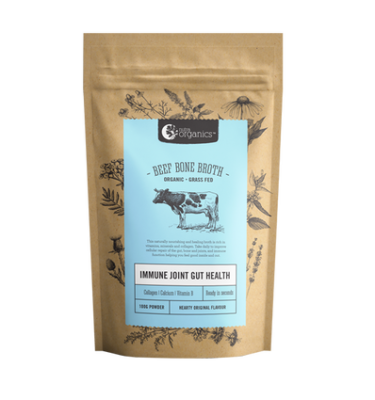 Chicken Bone broth has been made for hundreds of years by our grandparents and their grandparents. 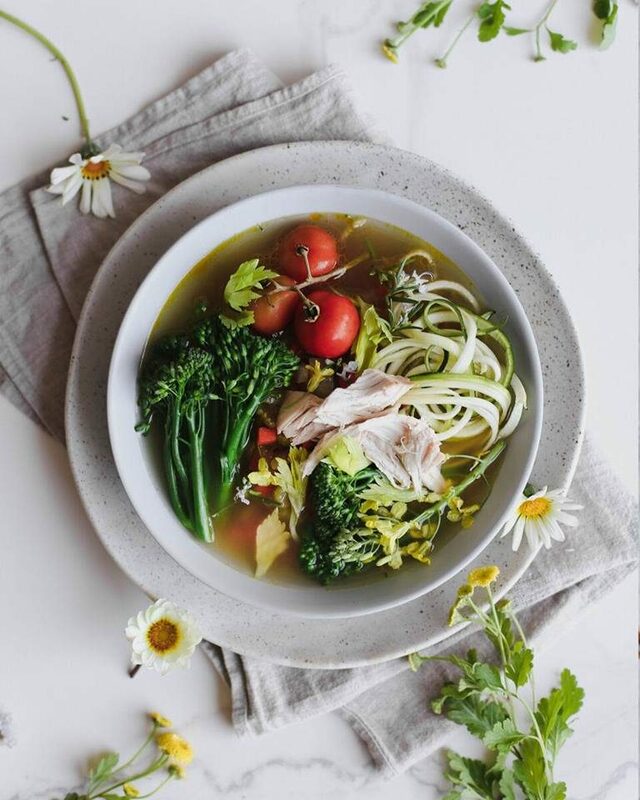 Often referred to as ‘chicken soup for the soul’ it is rich in minerals that can support immunity and adrenals, plus contains healing compounds such as collagen, glutamine, that can help with joint health as well as improving digestive health and reducing inflammation. The gut is largely where our immune system resides and is linked to every area of our body including our brain. Factors in everyday life contribute to the damage of our gut upsetting the sensitive internal balance. Collagen provides the necessary building blocks to restore and repair the gut lining, encouraging the growth of good bacteria keeping immune system strong and increasing our overall well-being. Chicken bones are added to filtered water and apple cider vinegar (to maximise mineral extraction) then slow cooked for over 12 hours. The broth is then strained for impurities and the fat is skimmed off the top. 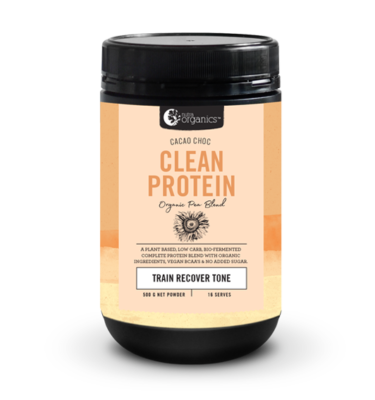 It is gently refractent dried into a powder, taking care to preserve the rich nutritional profile. Simply add 1 teaspoon per 100ml of boiling water for a hearty cup of goodness. Use as a base for soups, stews, a base for soups, sauces and gravies for nutrition and taste. Make a broth bowl by adding 3 teaspoons to 250ml of water per person. Bring to the boil and add a selection of veggies, protein and noodles. Serve hot. 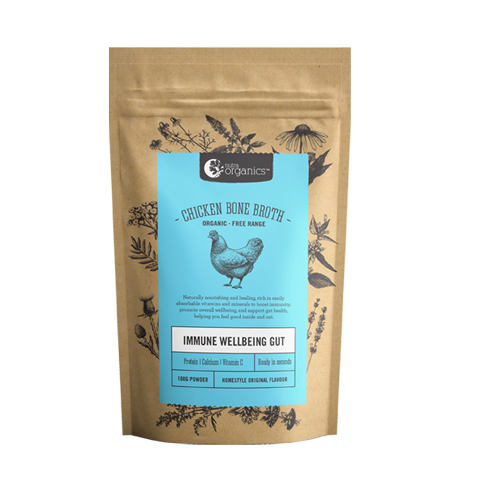 Free Range Chicken Bone Broth Powder* (Chicken Bones*, Filtered Water, Apple Cider Vinegar*, Himalayan Salt), Tapioca, Roasted Chicken Powder (Roasted Chicken, Ginger, Rosemary), Deactivated Nutritional Yeast Flakes, Ascorbic Acid, Black Pepper. 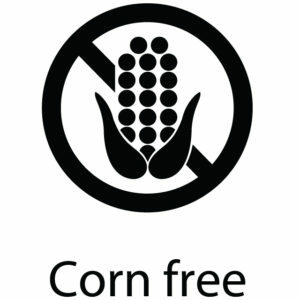 Proudly Manufactured in Australia from local and imported ingredients. Packed and printed in Australia too. Store in a cool dry place. Keep bag sealed. © 2019 Sonia Osborne Nutrition Consultant .